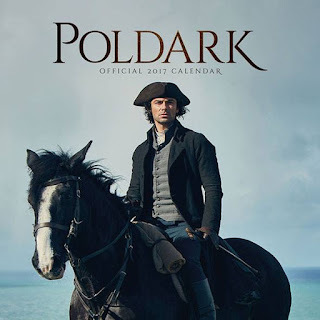 Poldarked: Official Poldark Calendar 2017 Available Now! The Official Poldark Calendar 2017 is out! 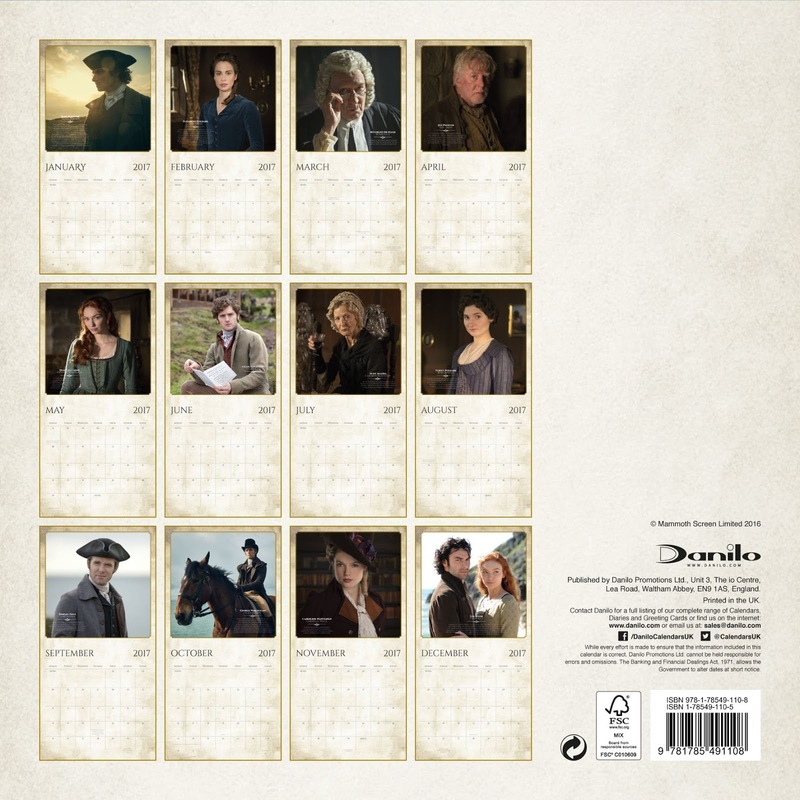 It has some new pictures of all our favourite characters from the show on quality, glossy paper. Robin Ellis as the Reverend Halse is there to give a chill to March and Eleanor Tomlinson (Demelza) to welcome in the Spring in May. Aidan Turner (Ross) starts off the year in January and, of course, there are a couple of Ross and Demelza. 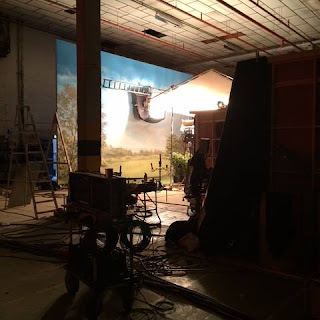 I particularly like June's photo which is Kyle Soller as Francis. The calendar measures 305mm by 305mm and is available NOW from Danilo, price £8.99 with free UK delivery (worldwide delivery available).